Did you know that your dishwasher needs to be cleaned every month to make sure it’s running at its best? It’s true. Dishwasher Cleaner makes cleaning your dishwasher easy! 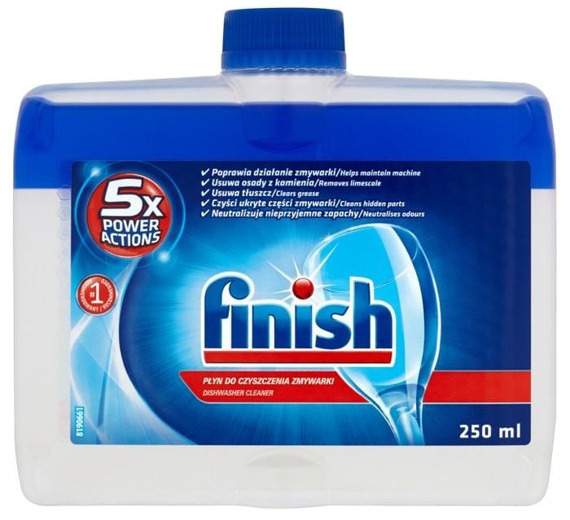 Use Finish Machine Cleaner once a month, or as soon as you notice build up in your dishwasher. Clean, freshen, and help maintain your dishwasher, while cleaning even the hidden parts. It works by safely and effectively breaking down and removing mineral build up that’s inside your machine, including hard-to-reach parts like the heating element and sprayer arms.